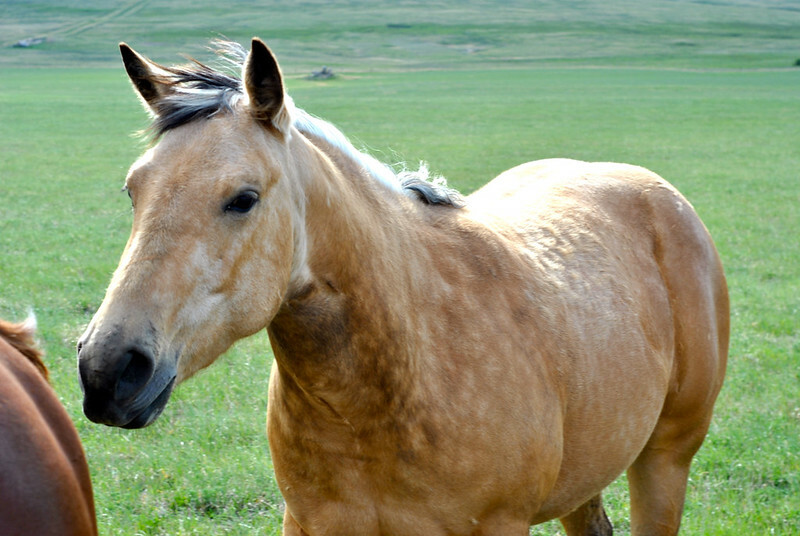 Alberta’s Cowboy Trail is an incredible journey from start to finish. 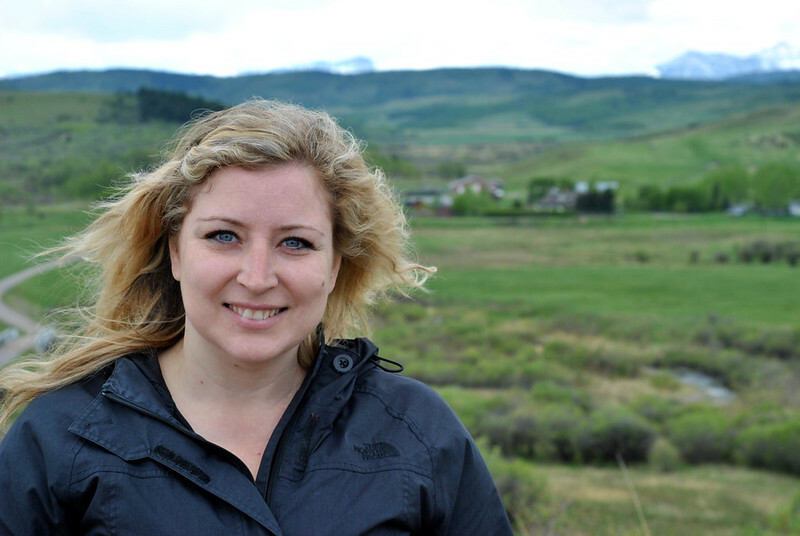 I’m never one to pass on a road trip, so when Rebecca asked if I’d like to hit Alberta’s Cowboy Trail, I was quick to agree. 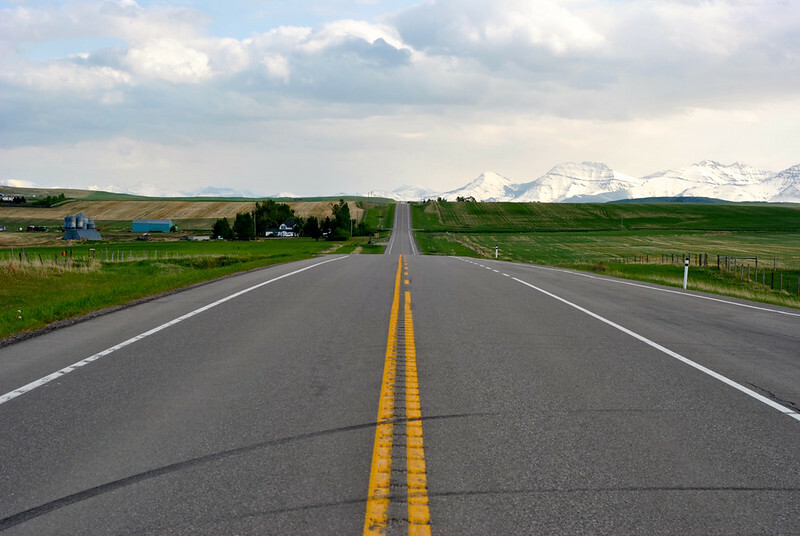 My husband and I road-tripped through Southern Alberta last summer while en route to Montana, and the drive made me fall madly in love with Alberta. 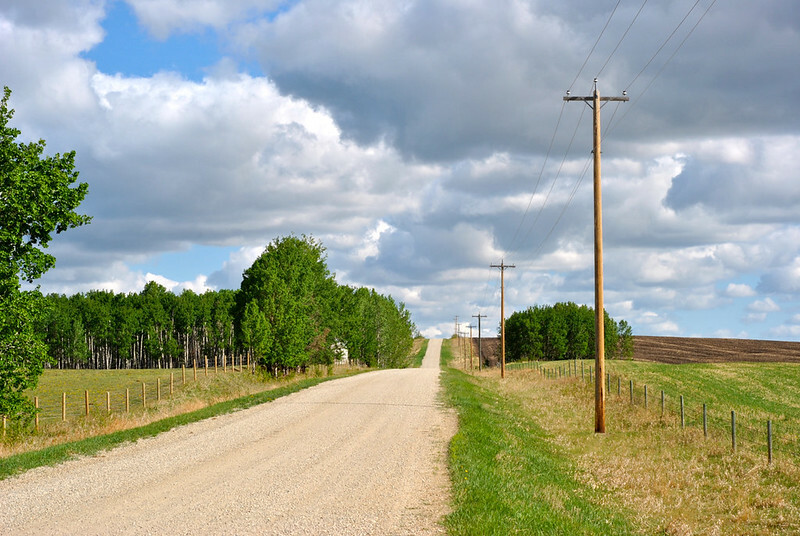 The route, found on maps as Highway 22, hugs the rolling hills of the prairies as it dips and winds 735 km from Mayerthorpe (west of Edmonton) south to the town of Cardston. 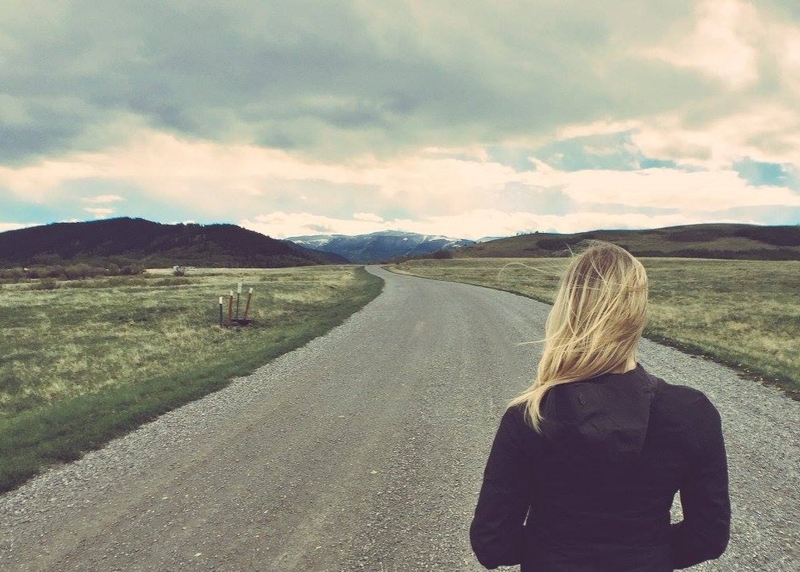 Rebecca and I began our journey in Water Valley, following our stay at Back to Nature Retreat. Aptly named for its lush forests and proximity to the Rocky Mountains, this postcard-perfect community is worth spending a whole day all on its own! 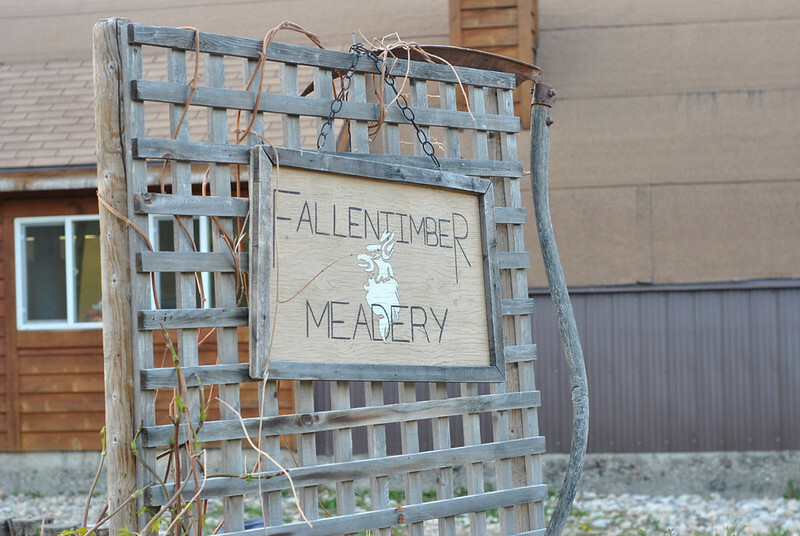 We had the opportunity to visit Fallentimber Meadery, which is quickly becoming a favourite spot for Calgarians to visit on weekends and grab a case (or three!) of mead. 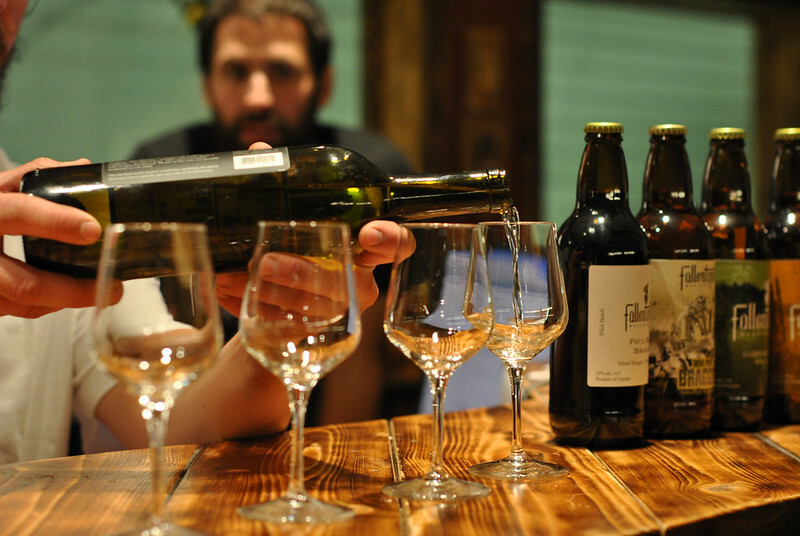 Operating for nearly six years, Fallentimber Meadery is home to dozens of hives and produces enough honey to create its mead as well as session mead (think of it like ginger beer). Owned by the Ryan family, the farm has been home to these hives since 1969, so they’ve had a lot of time to perfect their craft. 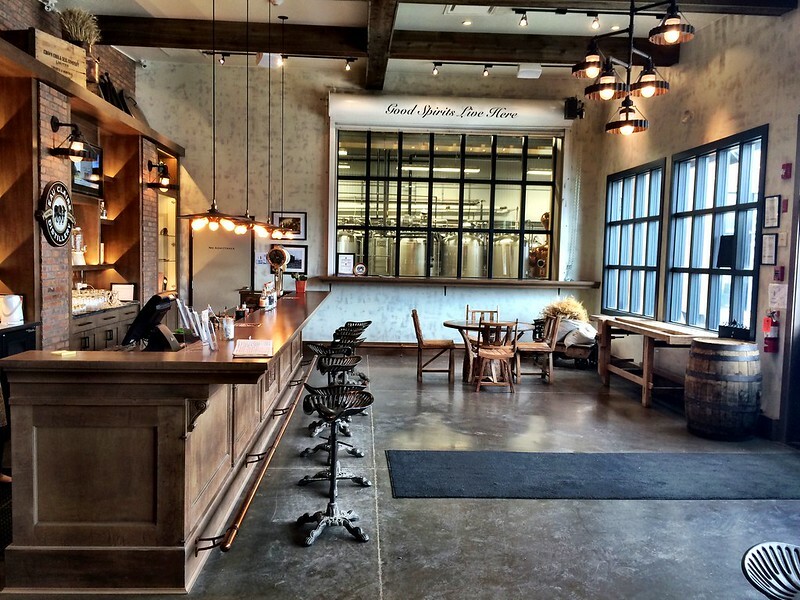 After touring the facility with Nathan Ryan, we settled into their tasting room for a flight of their offerings and picked up a few bottles to take with us. 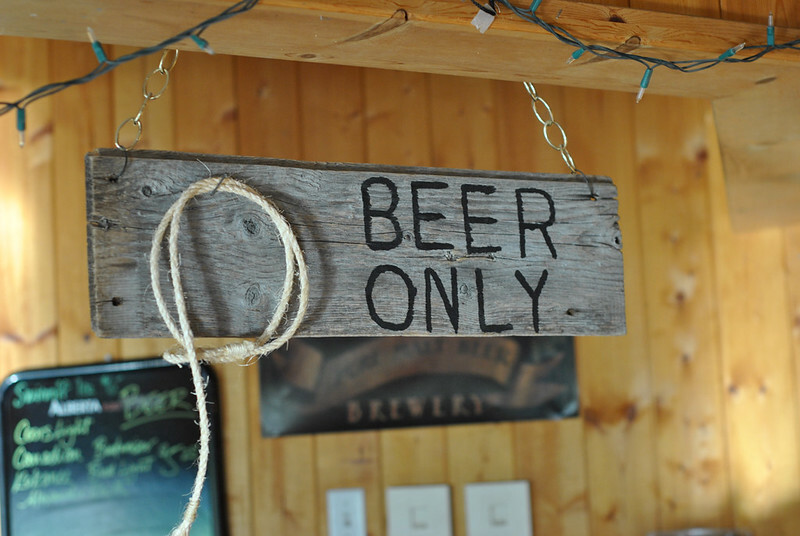 The meadery is open to the public on Saturdays and Sundays and is approximately 50 minutes from Calgary. 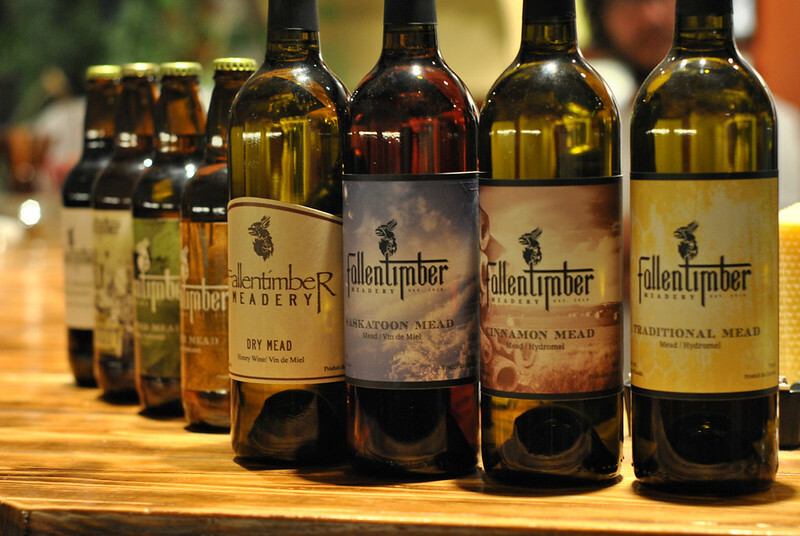 Fallentimber Meadery is also on Facebook, Twitter, and Instagram. Before leaving the Water Valley area, I’d suggest grabbing a bite to eat at the Water Valley Saloon. It’s exactly what you’d expect! 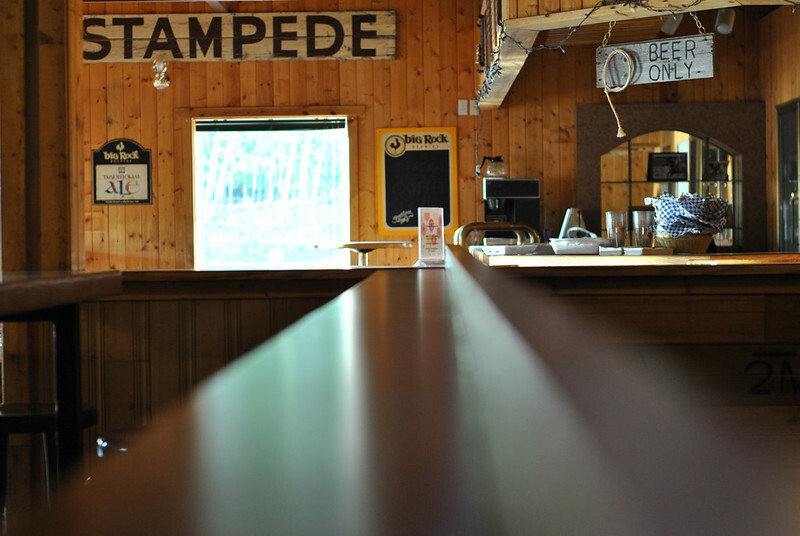 Built in the 1930s, the saloon still features hitching posts and, to this day, some local residents still ride their horses to the saloon to grab a pint. Rebecca and I dug into some of the saloon’s home-cooked fare. The menu proudly features a selection of Alberta beef and I had a hard time passing on a freshly-grilled cheeseburger, fries, and a pint of beer. 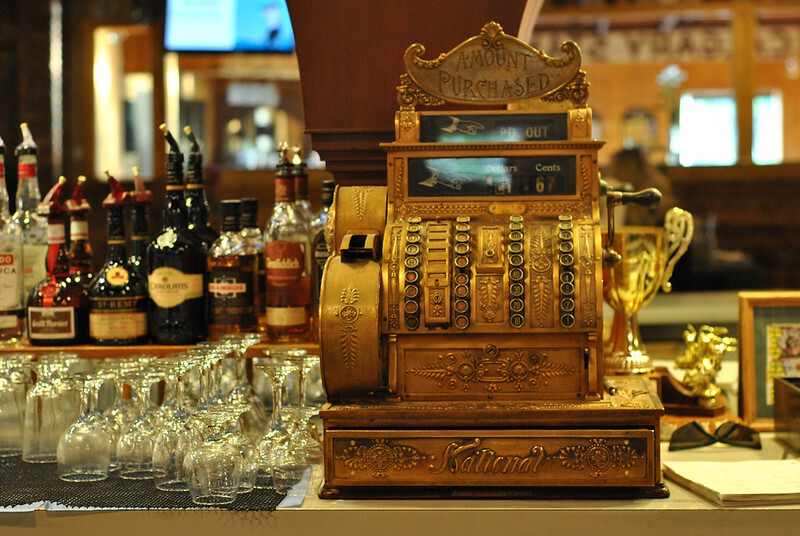 The saloon itself is outfitted in local-centric decor while still paying homage to the saloon’s undoubtedly colourful past. 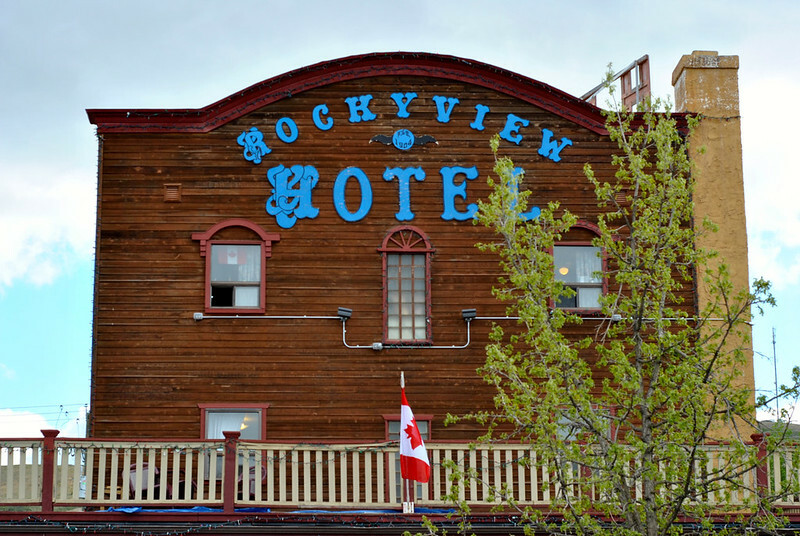 Pointing our vehicle south, we made a quick pit stop in the cowboy town of Cochrane. Neither of us could resist wandering the main street and checking out some of the town’s unique shopping opportunities. 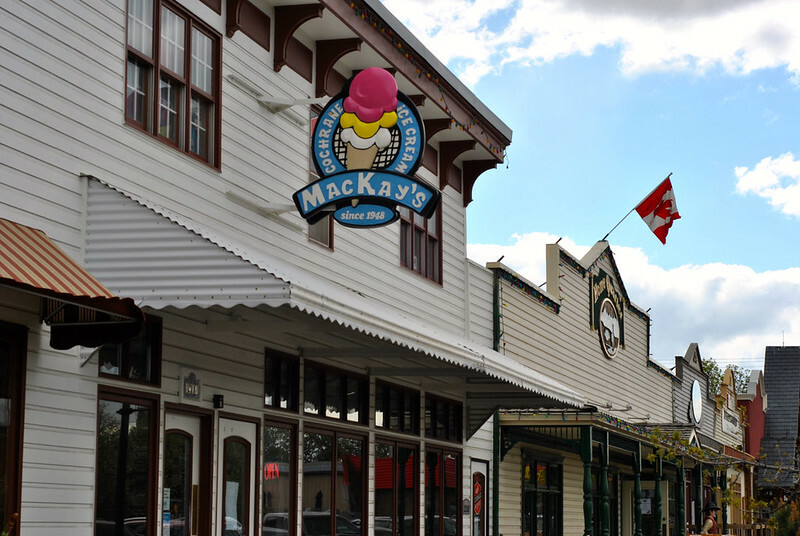 If you’re in a hurry, at the very least make time to stop and grab a cone at MacKay’s Ice Cream! 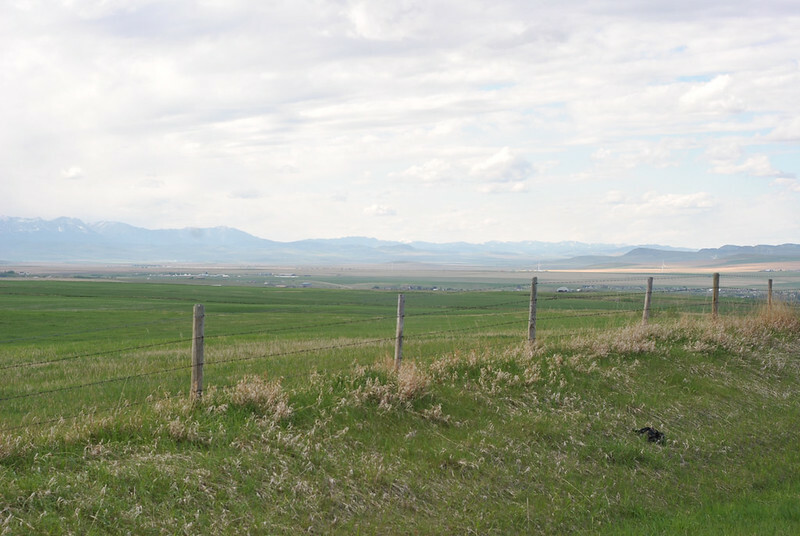 After bypassing Calgary, the scenery eventually started to change from straight stretches of highway to the rolling hills we were anticipating. Our first stop on our planned itinerary was the town of Bragg Creek. With the Elbow River slicing through it, Bragg Creek is an outdoor enthusiast’s paradise, featuring ample opportunities for camping and mountain biking. 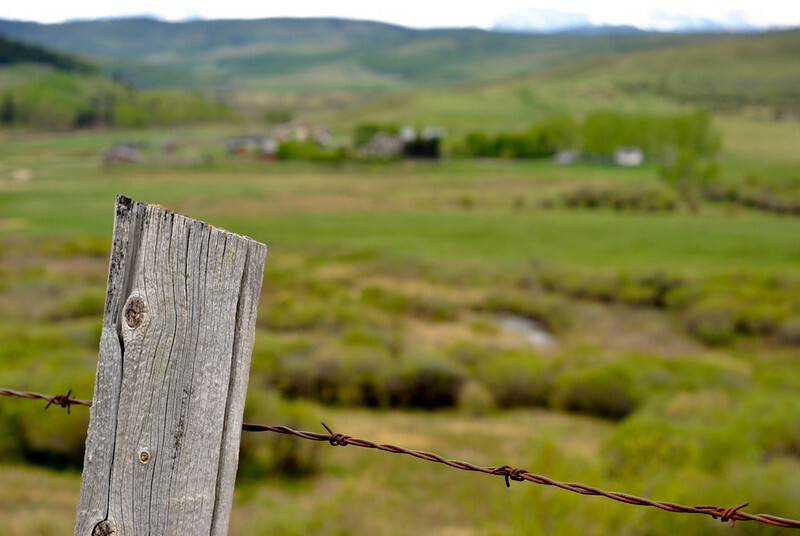 Further down Alberta’s Cowboy Trail, we came to the community of Turner Valley. 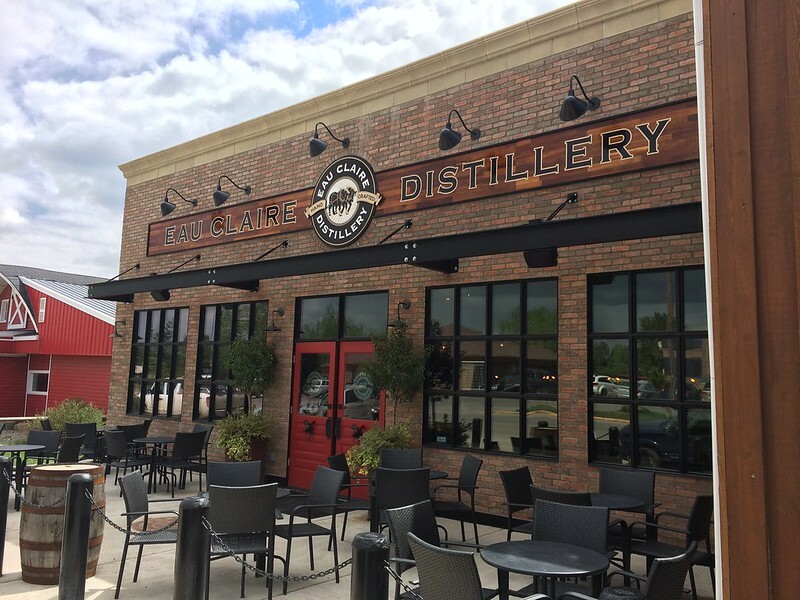 We’d heard a rumour of a recently-opened distillery and made it our mission to find it! As it turns out, Turner Valley is sweetly small and finding the Eau Claire Distillery was a cinch. It was hard to miss the welcoming red doors and brick facade. Inside, the beautifully-appointed tasting room was decked out with vintage stools, a gleaming wood countertop, and a healthy selection of their distilled products. 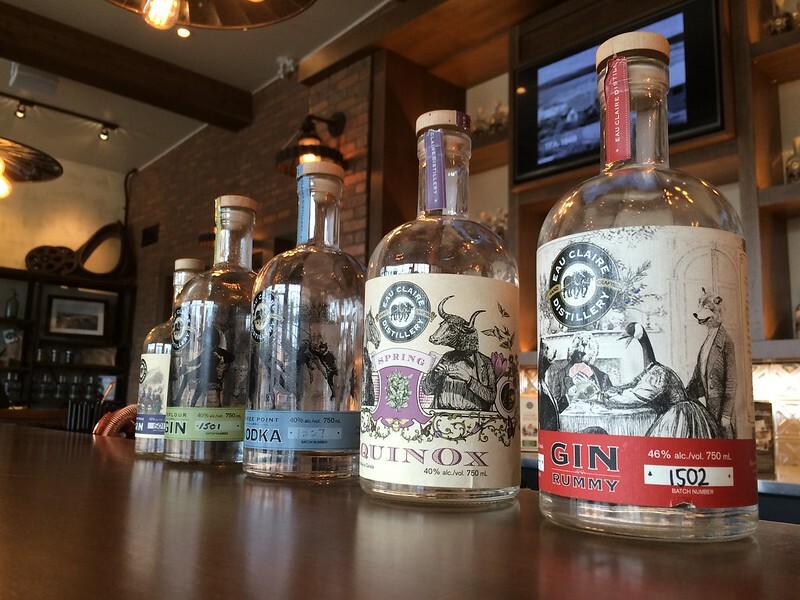 Specializing in gin and vodka, Eau Claire Distillery also created a liquor out of pricky pear cactus. Contrary to what I expected, it has a sweet essence that would pair beautifully with a sparkling grapefruit beverage in the summertime. A lover of bitters far and wide, Rebecca picked up a bottle of Eau Claire’s bitters to experiment with at home. Ready for sustenance, we pushed a few more kilometers down the road to Black Diamond. 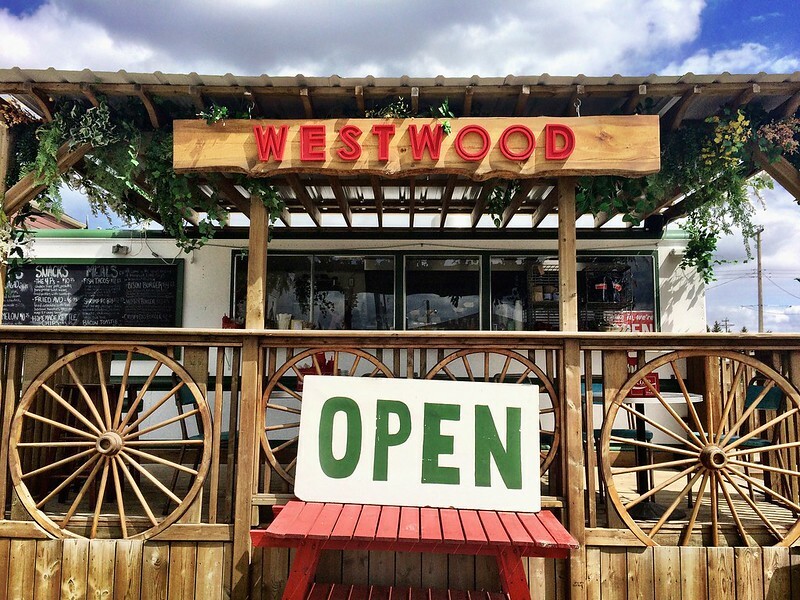 Freshly opened in April, The Westwood is a blink-and-you’ll-miss-it food stand on the side of the highway. Inventively and lovingly owned by the husband-and-wife team of Chad Kendrick and Erin Neale, this eatery is a fist-bumping game changer. Rebecca and I started with the deep-fried avocado (which I’m still dreaming about, by the way) before she and I moved on to a bison burger and lamb burger, respectively. 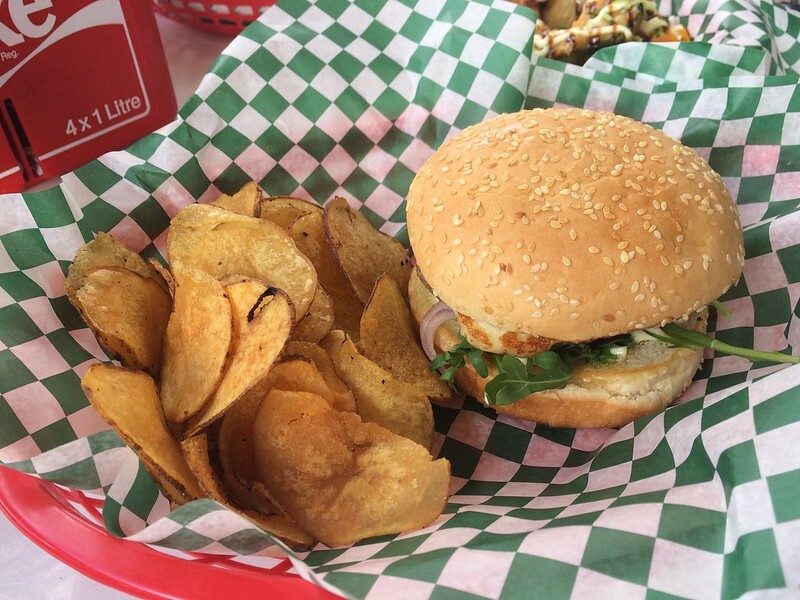 The burgers are served with a side of their in-house truffled kettle chips. If I know one thing is true, I’m considering driving all the way back to Alberta this summer just for their deep-fried avo. After eating, we set out to make the final push to get to Waterton Lakes National Park by nightfall. We made time for one more quick stop in the town of Longview for their legendary jerky. My husband was certainly happy for that souvenir! 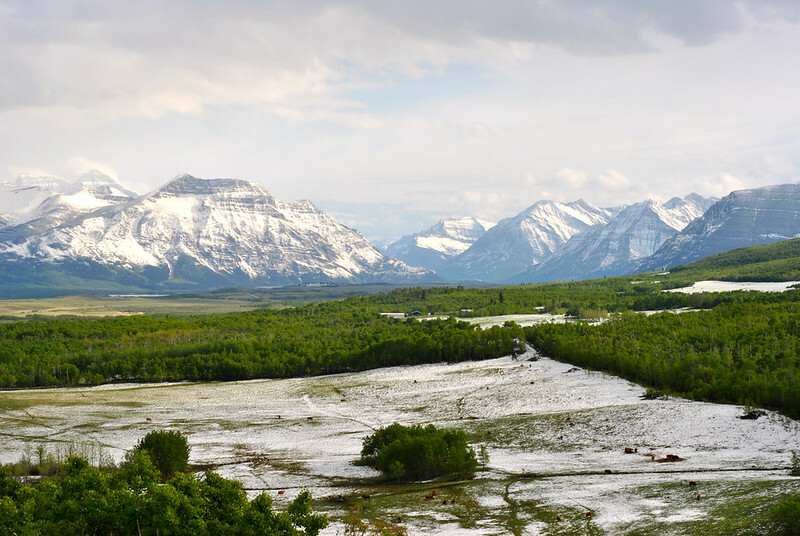 Travelling Alberta’s Cowboy Trail with any sense of urgency is something I’d caution against: describing the route as “scenic” would be an understatement at best. 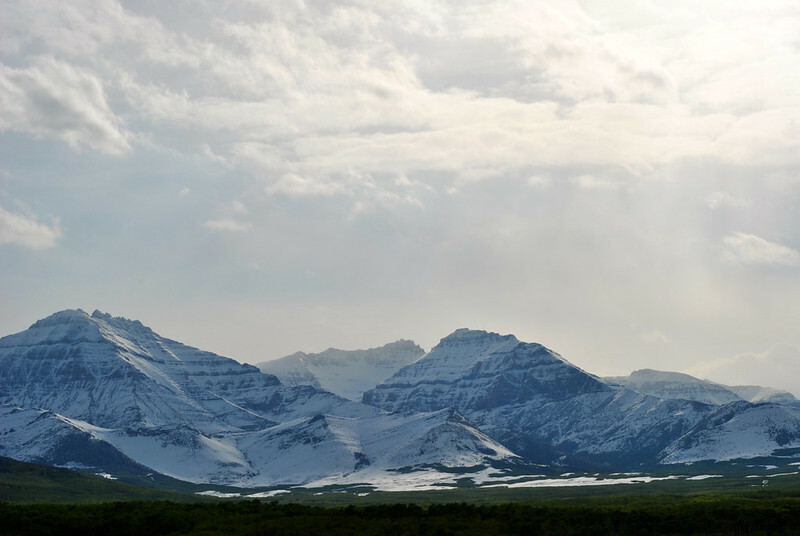 With the highway nestled against the Canadian Rockies, there’s no shortage of distractions. 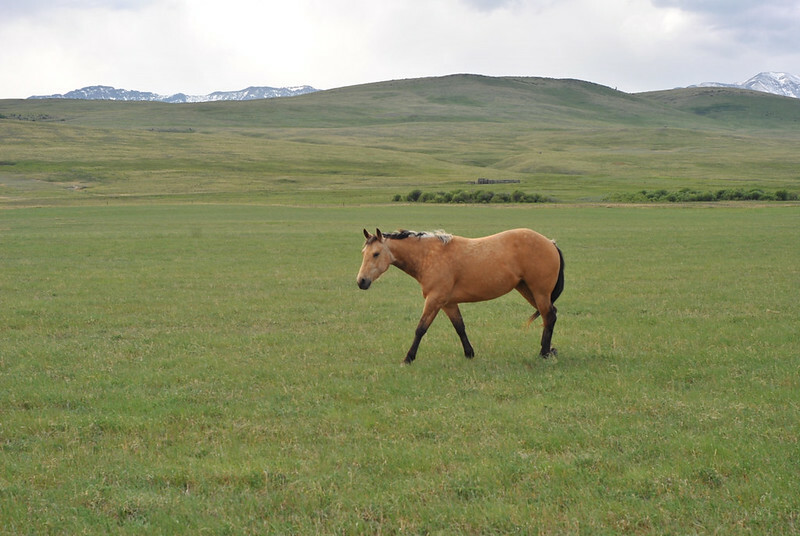 Rebecca and I stopped often to marvel at the views, nuzzle with wandering horses, and take an endless stream of photos. 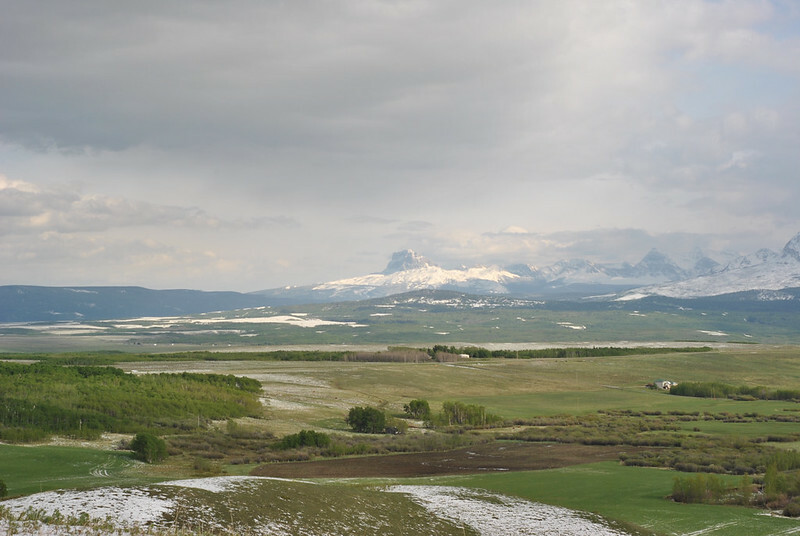 The notion that road trips are more about the journey than the destination always rings true, and certainly so on Alberta’s Cowboy Trail. Disclaimer: Our meal at Water Valley Saloon was generously provided by Back to Nature Retreat. Our meal at The Westwood was generously provided by the owners. 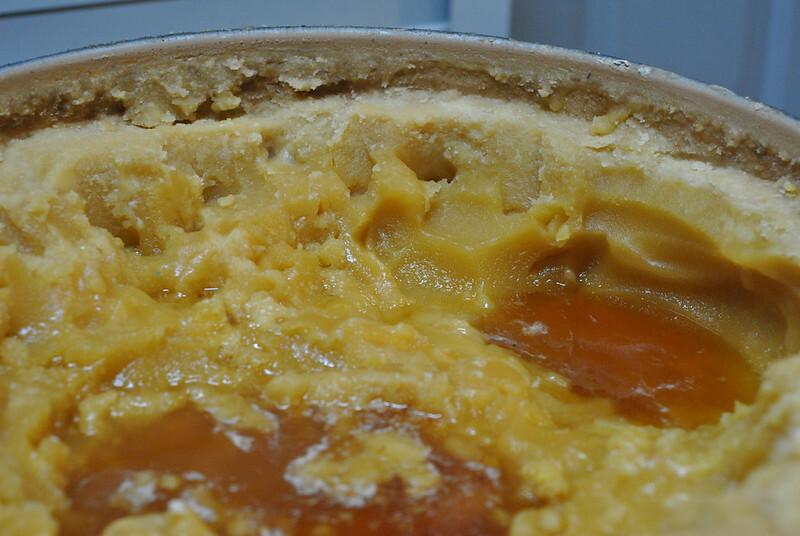 I was not asked to write this post; the opinions and experiences are entirely my own. Stunning photos! It sounds like you two had a fantastic trip. I’d love to get back to Alberta when I have some time to actually explore instead my usual, which is a tight business trip schedule. Thanks Jen! Alberta is amazing and I’ve really fallen so in love with it in recent years. I hope you and Justin get a chance to truly explore it soon!